Even though I was born and raised in Turkey, I have lived more than half of my adult life outside Turkey. Even after settling in Turkey I have always worked in positions that I would interact with foreigners, probably more than i did with Turks. 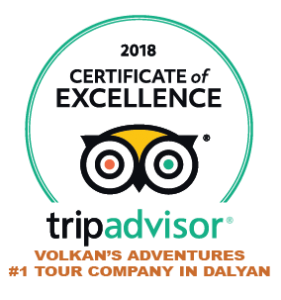 I think this experiences, which I have summarised on about us section, has helped me a lot with my venture in establishing a successful tour company in Dalyan. I find it easy to relate with other cultures and also i am able to step back and look at Turkish culture through other people’s eyes. 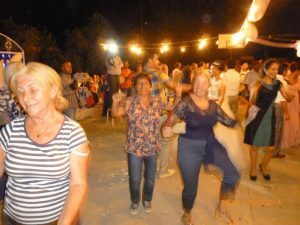 I have met numerous great friends living in Dalyan in past 4 years and a lot of times i get questions about the Turkish culture. I get questions such as whether if it was acceptable to act in certain way, what should they do if they were invited to someones house and random comments about things they find different in Turkey in general. It is great to know people are interested in your culture and they would like to learn more so i am always pleased to answer these questions at my best ability. During these conversations I have also realised that there were some misconceptions about Turkish culture, some were excessively sensitive and some doesn’t even exist in our culture. Therefore I decided to write my own version of “Turkish Culture and Customs” post, addressing especially to those points which I find to be not so true. I should also clarify that when I say “Turk” or “Turkish”, I don’t refer to any particular race, I mean Turkish people, regarding of their race, who was born and raised in Turkey. After decades of nationalistic indoctrination, most citizens self-identify as Turks regardless of their ethnic background. Some of the major non-Turkish ethnic groups—the Kurds in the southeast, the Arabs in the south, the Laz of the western Black Sea coast, and the Georgians in the northeast and northwest—express double identities. Why you have been wrongly informed? – Due to Turkey’s fast and unplanned encounter with globalisation after 1984, people in different economic classes has developed sharp and distinctive cultural characteristic. There is a huge difference in culture and attitudes of people who live in busy urban areas to rural areas in means of education, income, religion and daily life style. Turkish people who migrated to Europe to seek better life and income as well as those who work in tourism industry, working ridiculously hard, long hours, often in the boiling heat, for very little money, comes from eastern rural areas with low or no education at all. So if your encounter with Turks mostly relies on people who migrated to Europe for work or workers you have met in touristic resorts, again you would be wrong by generalising what you have experienced to Turkish culture. – If your knowledge about Turkish Culture is based on articles float around the internet, it is also very understandable to be misinformed. Most of these articles I have read on internet with titles like “10 Things To Know About Turkish Culture” or “Dos and Don’ts when you are in Turkey” doesn’t reflect the actual Turkish Culture. I find a lot of facts mentioned in these articles to be unnecessary as they would be considered wrong in most cultures and not specific to Turkish Culture like saying: “Do not stare at people” or “Be respectful when you are in their home.” Again most of these articles are either written by expats who live in Turkey or tourists who visited Turkey. Their view of Turkish culture would be biased as probably Turks have had acted differently upon them than they would do to their own (in a positive way). Articles written by Turkish people, who has never lived outside of Turkey and doesn’t have sufficient ability to see their own culture through foreigners’ eyes, would also be as misleading. 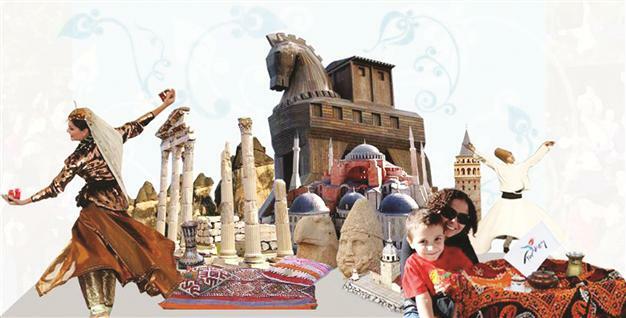 Should you forget all you had known about Turkish Culture? You are probably thinking “Oh well, all we thought we knew about Turkish culture was wrong then!”. No, thats not what I am suggesting. What you have known and how you feel about Turkish culture and people is most likely to be true in general. It is true that Turks are very hospitable, generous, collective minded, emotional, related, social and very good looking people :). I am more like referring to my personal experiences about paradoxical traits that are difficult to differentiate, wrong stereotypes, deliberately marketed facts to tourists and some odd and funny points who knows where they have came from. You have to remember that people who live in Republic of Turkey, whom are referred to as Anatolian Turks, are collection of many races. Even though Turkish race originally refers to Nomadic Turks who lived is region stretches from Central Asia to Siberia, after centuries of intermarriage with Mediterranean and Balkan peoples and the assimilation of those peoples into the Ottoman Empire and the Turkish state, the vast majority of today’s Turks physically resemble Southern Europeans rather than Central Asiatics. The reason most foreigners think that Turks in general look more Middle Eastern is because again most Turkish people who work in touristic resorts or migrated to European countries come from Eastern or Southeastern regions where most people have Kurdish or Arabic background. Another reason for not seeing as many Southern European looking Turks around the Aegean or Mediterranean coastline of Turkey is because Roman Greek people who dominantly lived in these areas were sent back to Greece and Turkish people who lived in Iraq, Syria and Iran were relocated in their places after the fall of Ottoman Empire. In short, as you travel toward central, northern or western Turkey, you will see more people with Southern European, Northern Asian, Caucasian and even Russian physical features. Please watch the video created by The Perennial Plate about Turkish Food Producers which is a great example of the diversity of Turkish Culture. 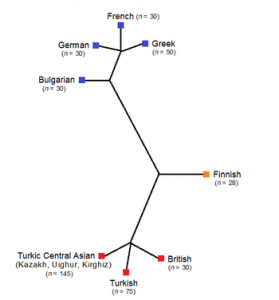 You may also be surprised to read that genetical researches revealed that British population bears more similarities to Turkish population than it does to other neighbouring European populations such as French, Bulgarian, British, Finnish, Greek and German. Turkish people love to make new friends and it can take literally couple minutes before they invite you to their home for a cup of tea or for a dinner. A simple get together for a cup of tea can turn into a lifelong friendship with future plans and projects. Therefore I often get questions about how should one act at Turkish home that they were invited to. Sometimes they are worried or over cautious to not to insult anyone with respect to idea that Turks are strictly Muslim. Turks are originated from region stretches from Central Asia to Siberia. They were nomads living in tents for hundreds of years until they have settled in Caucasus and Anatolia in 10th century. This moving around and living in closely related communities created some peculiarities that are exclusively Turkish. 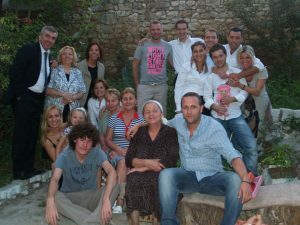 The two characteristic traits of the Turkish people derived from their history are hospitality and close family relations. 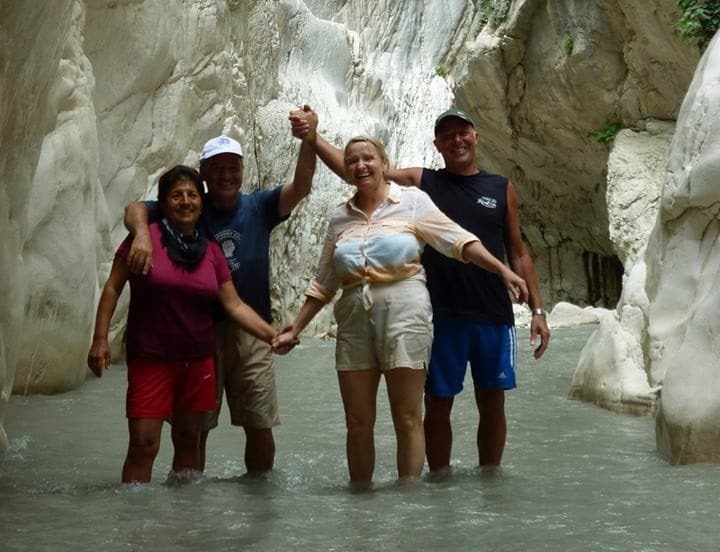 Turkish people extremely fond of foreigners and are very understanding about different customs and cultures. For Turkish people, a guest in their house is “God’s Guest” and they will do anything to make you most comfortable and offer you best of everything they have. Even though majority of the country claims to be Muslims in religion, throughout the history Turks have never been radicals. The level of practicing Islam changes from region to region but if we were to generalise we can say that Turks are more liberal in their beliefs than other Muslim nations. Especially in coastal regions, it is rare to find strict practices of religion. In conclusion, if you are invited to a Turkish home, just relax and enjoy your time and make sure you go with an empty stomach as dishes after dishes will be wheeled out for you and Turkish people do not take no for an answer. “Sure we can, just follow me…” Many times we have just walked into total total strangers’ wedding with group of friends I happened to gather from the hotel bar we were hanging out or with a full boat of people returning from one of our noon to moon boat trips. When I ask if they would like to go to a Turkish wedding, even though they are curious and tempted, my foreign friends find it hard to believe that we could just invite ourselves to total strangers’ wedding. I always enjoy watching all the worries disappear minutes after we step in as we are always welcomed with open arms and treated as the guests of honour. For Turks weddings are celebrations that are merrier the more. They will be honoured and happy to have anyone who would like to join them in this happy day and soon you will find yourself on the stage dancing, eating and drinking with them. Try it yourself, invite yourself and just walk into any wedding and I guarantee it will be a great experience that you will never forget. I hate to ruin your excitement of the Oriental fantasies by revealing the truth behind Turkish Apple Tea offered as our national drink, but in the end thats why people join our trips: To stay away from the myths created for the tourists and make as close connection to Turkish Culture as possible. Apple tea is simply flavoured granulated sugar powder mix with some added acids and anti-caking agents. It was introduced to Turkey first in 60’s under the brand “Oralet”. This brand name later became the generic name of this product, even though other brands were introduced in 80’s. The intention was to introduce a product in Turkey’s than un-penetrated cold drink market. Oralet first came out in orange flavour that was sold in 500 grams plastic jars. It was supposed to be mixed with cold water to make a cold drink. However, because before 90’s refrigerator use in Turkey was not as common and Turkish people are used to drink hot tea and coffee, they mixed it with hot water. A fashion that flowered in Turkey in 70’s and 80’s disappeared with same speed upon opening to free market world after 1984. With introduction of world brands and more sophisticated marketing, Oralet lost its fame amongst Turkish people but still living its fame in touristic areas marketed as a national drink in Turkish Culture. It makes sense because Turkish tea and Turkish coffee comes rather strong for most foreigners so Turks figured to offer more appealing, fruit flavoured powder such as apple, pomegranate, orange teas to show their hospitality. No harm done but this is the reason we are not served any apple tea on our off the beaten track trips, where we visit local families or local restaurants. What do you think? Can you relate to any of these situations? How about your own experiences that were surprised to you in Turkish culture? I would love to hear your comments and experiences with Turkish culture as well as I would be more than happy to answer if you have any questions.